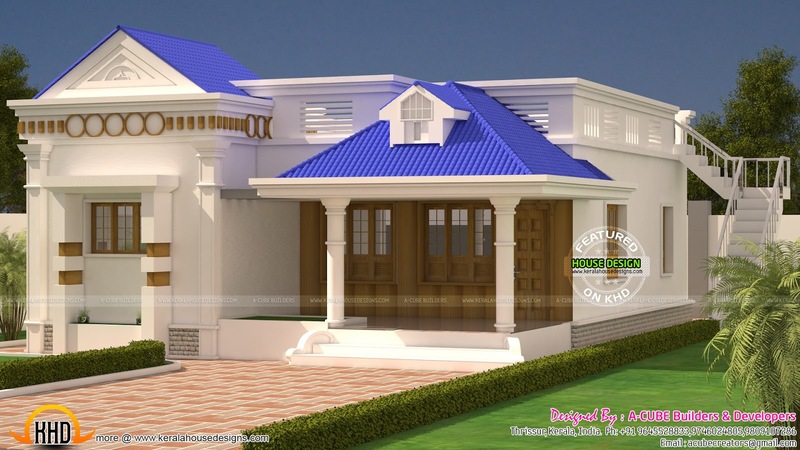 1163 Square feet (108 Square Meter) (129 Square Yard), one bedroom attached small budget home plan. Designed by A CUBE creators, Thrissur, Kerala. Total area - 1163 Sq.Ft. 0 comments on "1 bedroom attached budget home design"